Mr Trump announced in a tweet that Mr Sessions would be temporarily replaced by his own chief of staff, Matthew Whitaker. The president has repeatedly criticised Mr Sessions, a former Republican senator and early supporter of Mr Trump’s longshot candidacy. 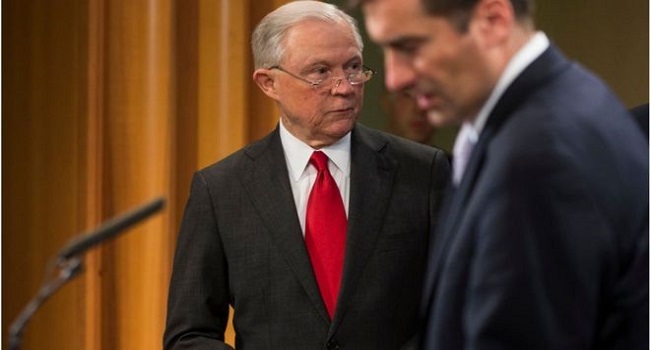 In a resignation letter, Mr Sessions made clear the decision was not his own. “Dear Mr President, at your request I am submitting my resignation,” he wrote.